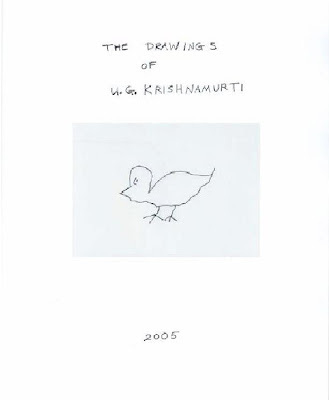 THE DRAWINGS WERE MADE BY UG STARTING IN JANUARY 2005 IN BAVENO, ITALY, THEN AGAIN IN SWITZERLAND ALSO IN JANUARY. FINALLY IN MARCH OF 2005, SOME DRAWINGS WERE DONE IN PALM SPRINGS. SOME OTHER DRAWINGS MAY HAVE BEEN LOST ALONG THE WAY BUT THIS IS UNLIKELY AS THE WORK IS CLOSELY MONITORED AND HIGHLY COLLECTIBLE! THIS WORK REPRESENTS A NEW PHASE OF ACTIVITY IN THE UNPREDICTABLE LIFE OF A GREAT UNKNOWABLE SAGE.